You are here: Home » Articles » Will There Be a Literal Rebuilding of the Temple? 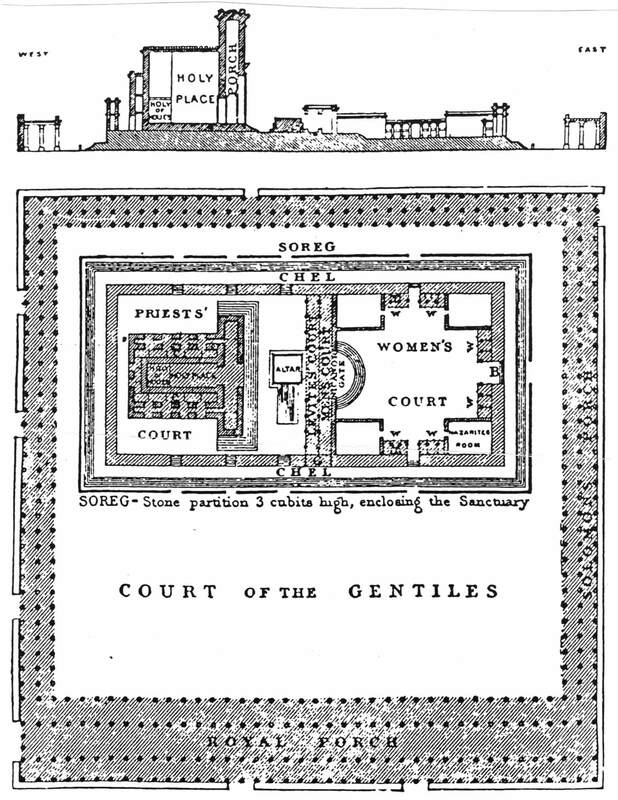 The Temple in Jerusalem played a major role in the Israel’s life and worship in the Bible. Sacrifices and many other ceremonies and rites were performed there. Since A.D. 70, however, there has been no temple on Mount Zion, and the question is sometimes asked, “Will the Temple be rebuilt, literally , or do the Scriptures talk about a future temple in a spiritual sense?”. A brief look at some verses in Matthew 24 (and elsewhere) should convince Bible readers that there will indeed be a literal rebuilding of a temple in Jerusalem. It will help if you have the chapter open while reading this. Matthew 24 is a chapter which deals with signs of things to come, and a literal temple plays a major role amongst these signs. Note that the chapter begins with the Lord looking at the literal temple of His time (Herod’s temple) and speaking to the disciples of its destruction (24:1,2). It is certainly no coincidence that the record then immediately tells us of the disciples’ questioning the Lord about His coming. The two are closely related. The Lord was looking at the temple which was to be later be destroyed in 70 A.D., but in order for the rest of the events in Matthew 24 to take place in the future, there must again be a literal temple which must be rebuilt and standing when these things eventually come to pass. Reference is also made to this desolation in 2 Thessalonians 2:4; Daniel 11:31 and 12:11. If you are looking at these verses, note also the sorts of words around them. There are many references to very literal things, such as the literal return of the Lord (2 Thessalonians 2:8), the literal rebuilding of Jerusalem (Daniel 9:25), and literal nations such as Persia, Egypt, Moab, Edom, Ammon, Libya, Ethiopia, etc. (Daniel 11:2,8,41,42). All of the above refers to the literal temple which must be built before the Lord’s second coming. It will be built and then destroyed before the Lord’s return. 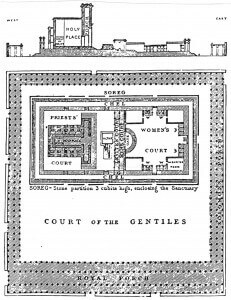 After His return, another temple shall be built to the literal specifications set out in Ezekiel chapters 40-46. Note the detail of the measurements and so on, which cannot be spiritualised. This temple will operate during the earthly kingdom of the millennium (see Revelation 20:1-4). After the millennium, the earth upon which that temple was situated shall pass away (Revelation 21:1) and the New Jerusalem shall descend to the new earth (Revelation 21:2). It has already been mentioned that there shall be no temple in that city (Revelation 21:3,22). This last point highlights an often forgotten principle involving the temple. The tabernacles and temples mentioned in Scripture are all places where God is said to “dwell” in one sense or another, and is often where God meets and fellowships with man. Any rites and rituals associated with temples all flow from the need of man to be in a right and pure state before being in the presence of God. I believe that either we take all of these things literally, or we say that they mean something different to what they are saying, in which case we can make up our own meanings for the things stated in the Scriptures. It is not sound Bible study practice to take one verse out of a literal context and say that it should be interpreted in a “spiritual” manner, and the question about the temple is a prime case in point. What a wonderful way to make God ‘s truth known.